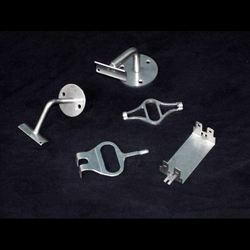 Stainless Steel Sheet Metal Parts offered by us are fabricated from variety of materials like aluminum, copper and brass etc. 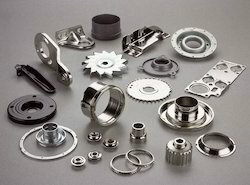 The range provide fine finishing, durability, reliability, high tensile strength and chemical resistance. These can withstand and work smoothly in high heat, temperature and pressure conditions. The features associated assures smooth functioning and superior performance. 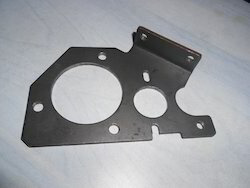 We are engaged in manufacturing Precision Sheet Metal Components and exporting of such as precision engineering sheet metal parts, engineering Sheet Metal Parts parts, consumer electronics parts, deep drawn parts, electrical stampings & lamination and electrical switchgear Sheet Metal Parts parts. 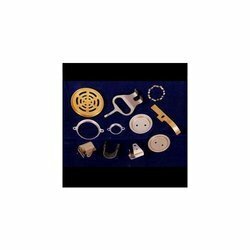 Our precision engineered precision sheet components and assemblies find wide application in automobile, machine building, hydraulics and general engineering industry.